The thing with being with someone who loves the outdoors and sports is that sometimes you have to participate in the things they love to do, just like they go along with you to check out bookstores, go malling, or watch movies. You know, compromise — the grease that keeps relationships moving forward. So when D suggested we go on a hike, I readily said yes. Readers of this blog will know I am not really averse to going on nature hikes; in fact, I can and do walk long distances and like it. 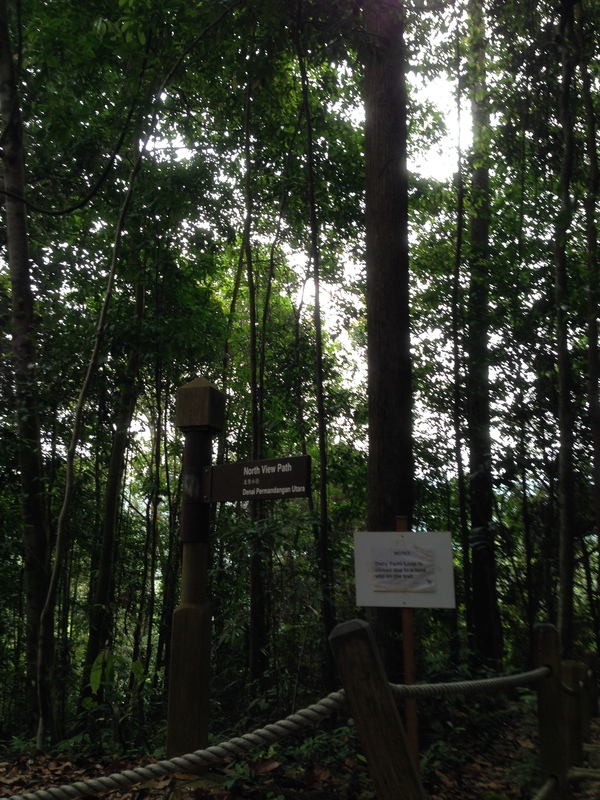 So when he said let’s go try Bukit Timah Nature Reserve, I said, “Sure, why not?”A bit about Bukit Timah Nature Reserve: It’s huge. 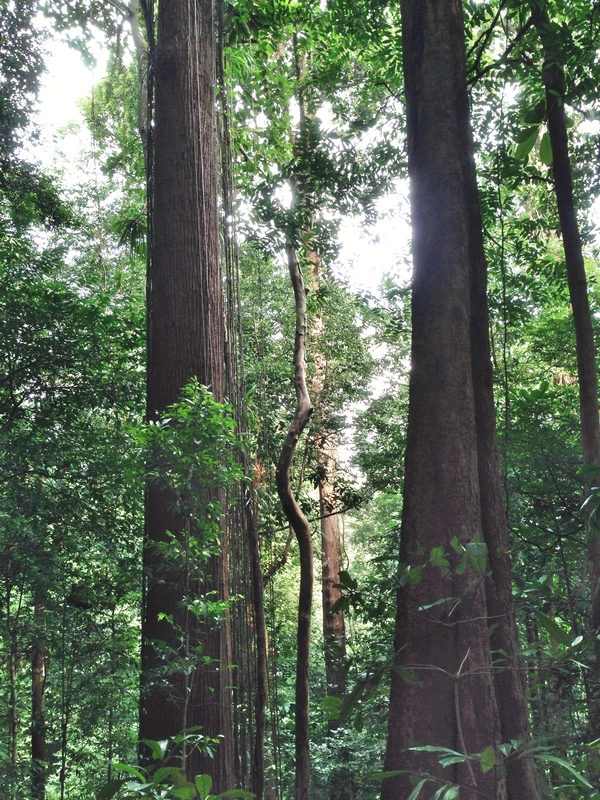 It’s 163 hectares of towering trees and winding trails and contains a rainforest. 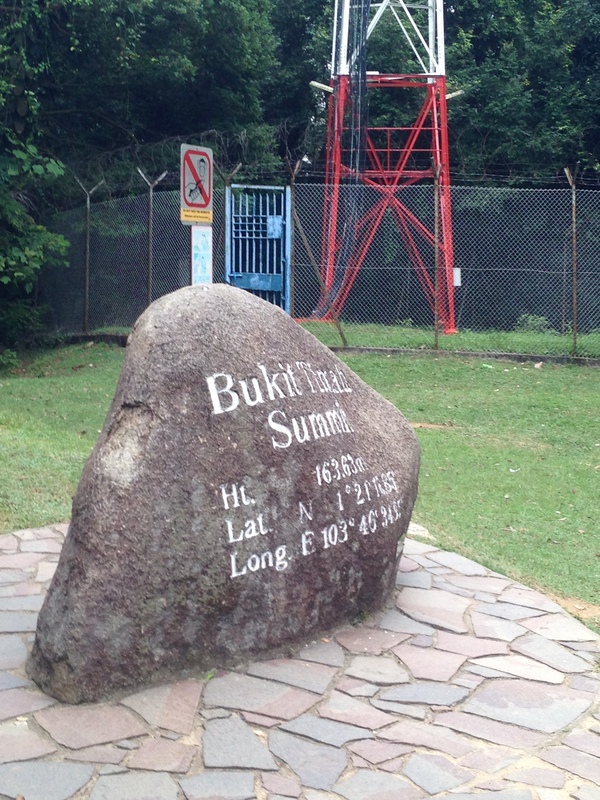 It also encompasses Bukit Timah Hill, Singapore’s highest point at 163.63 meters above sea level. The hill is composed mainly of granite and used to be a quarry in the 1900s. It’s no longer a working quarry, of course. 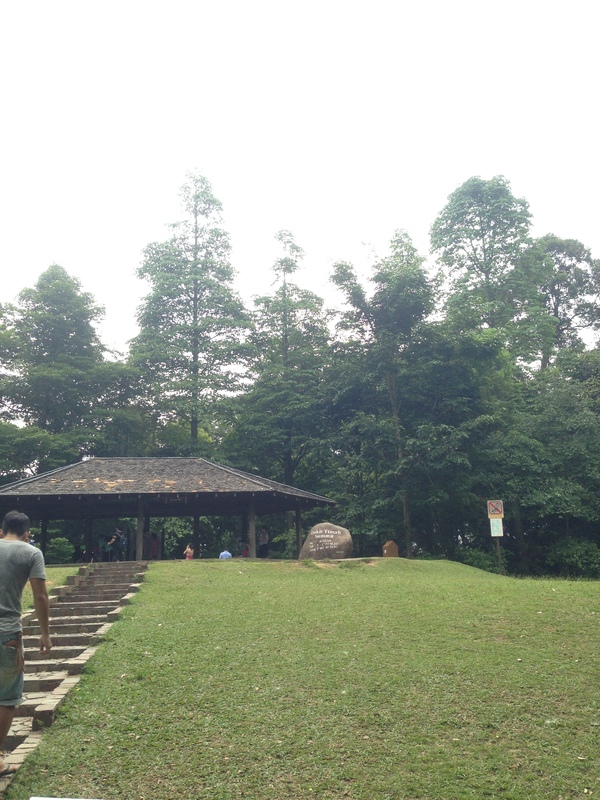 Now, people go there to hike, look at trees, and generally commune with nature. There are several trails to take when exploring the reserve, but the most straightforward and easiest is the paved trail, which takes you all the way to the “summit.” The first time I saw the trail going up, I was already (goodnaturedly) complaining — “It’s an incline! Why is it an incline? ?” (I hate inclines!) 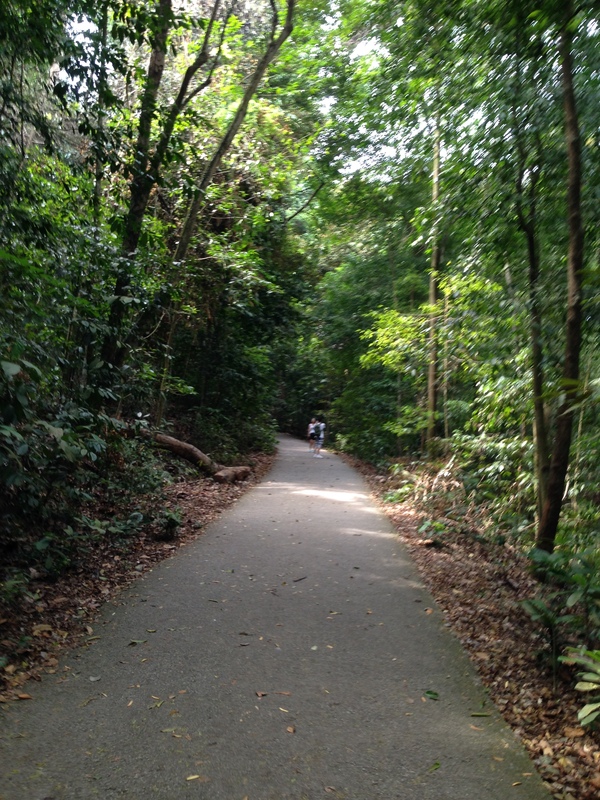 Looking back at it now, I knew Bukit Timah was a hill and I knew it would be an uphill climb, but I think I didn’t really process it until I got there and was surprised that the trail went up! 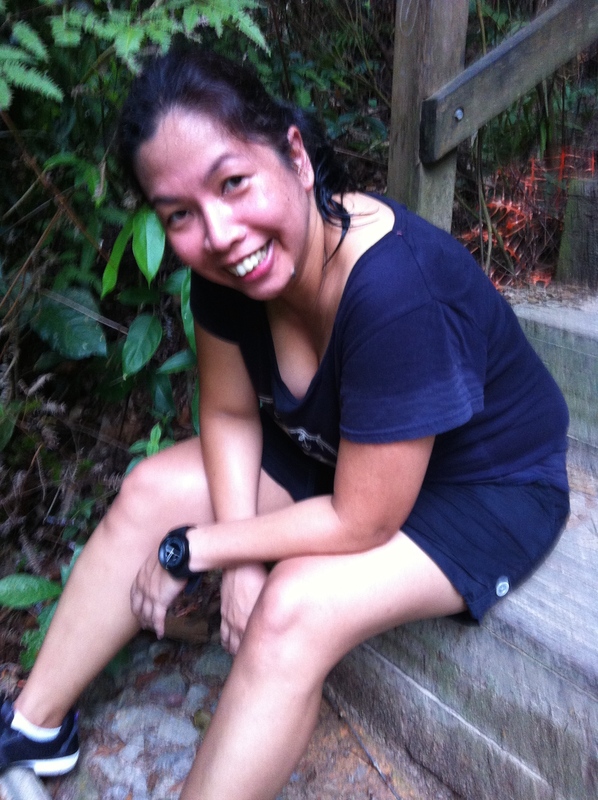 Despite my grousing, the trail was actually easy to climb, mainly because it was paved. True, I had to stop several times and catch my breath (in the guise of taking pictures) but it was still pretty cool to be out in the open and breathe fresh air. The picture above doesn’t do the incline justice. It doesn’t look like a 40 – 45 degree incline, but it is! This is looking down the paved trail, phone camera shaky from panting too much! 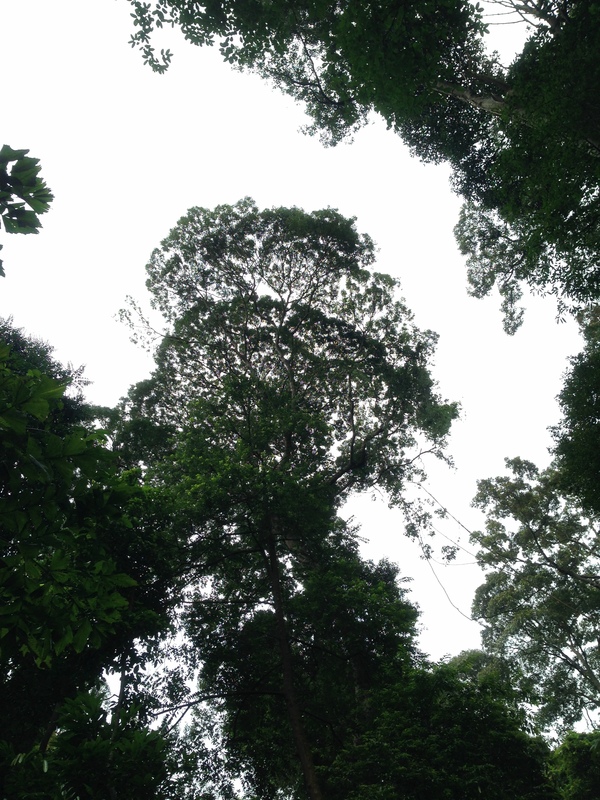 BTW, a warning: This post is mostly trees and more trees and trails! 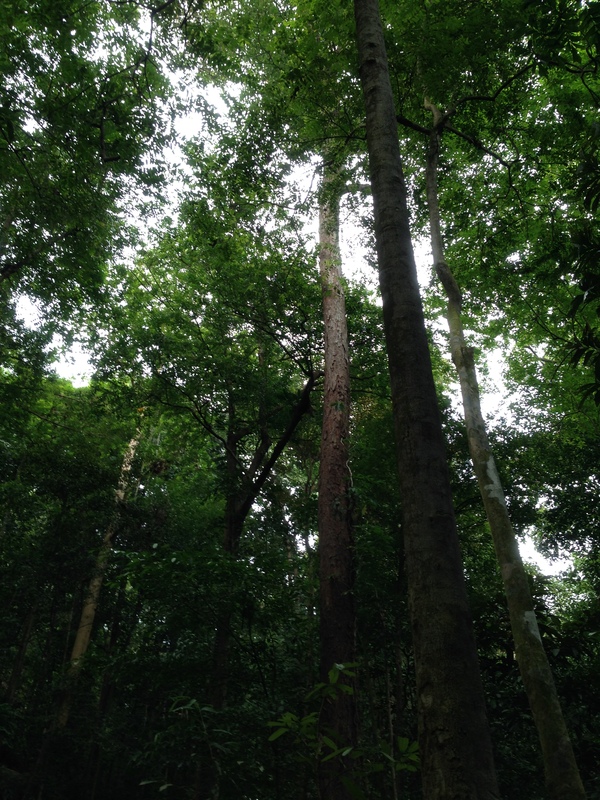 A canopy of green. 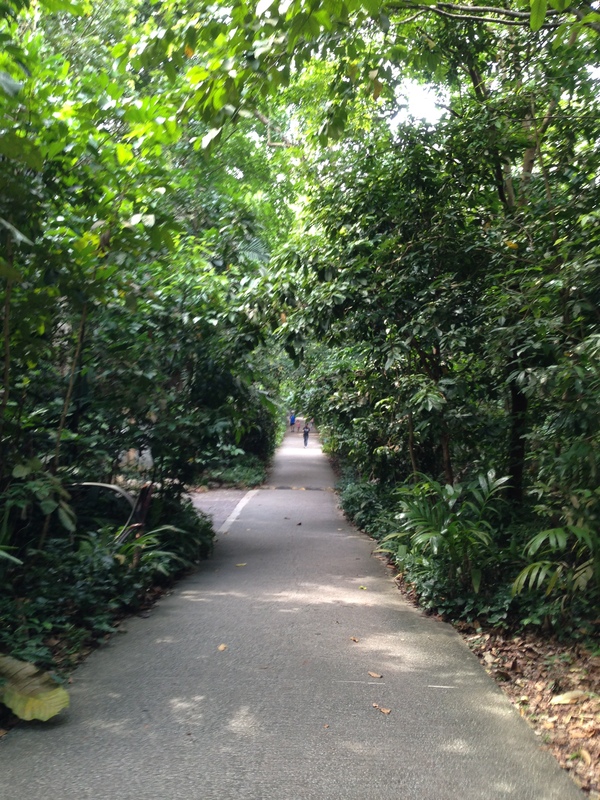 Everything was green in this part of Singapore. 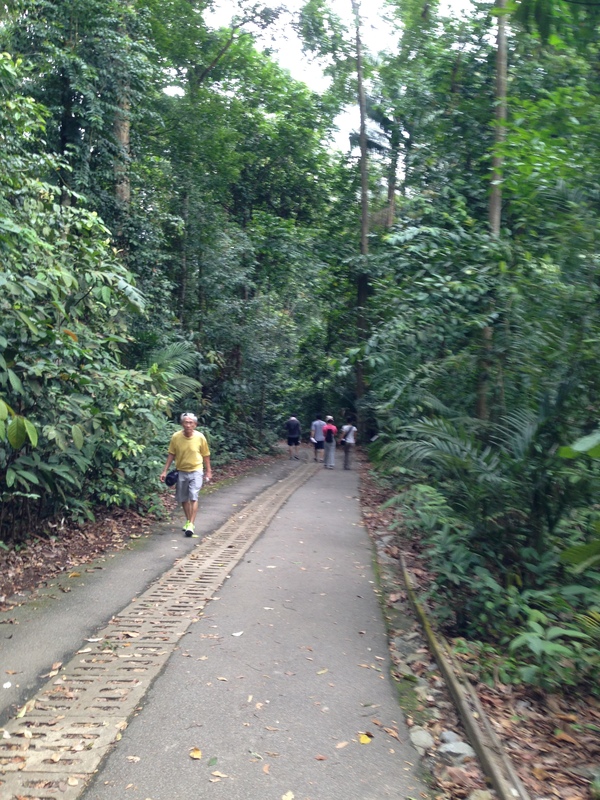 What’s nice about hiking in Bukit Timah is seeing different people from all walks of life, ages and in different states of fitness enjoying nature. 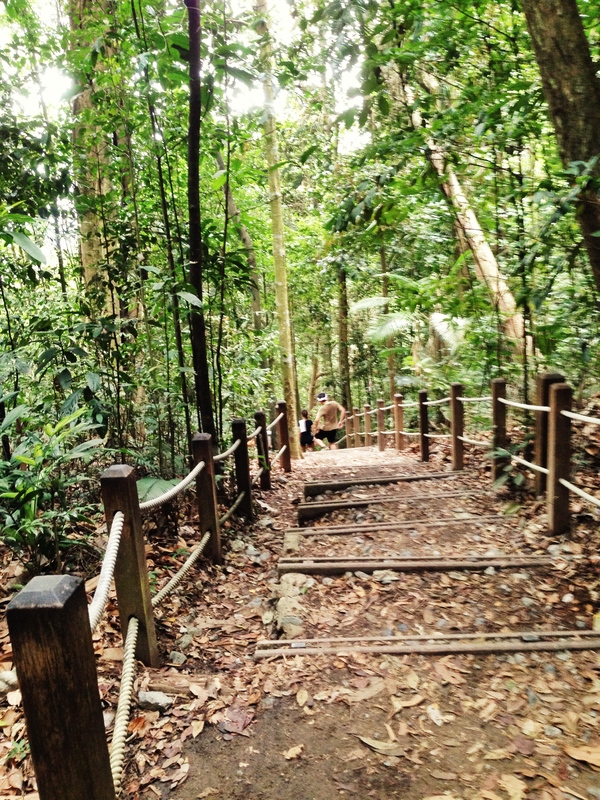 We’d encounter really old folks climbing up and down the trails before our hike was over. After around a half hour walking, we reached the “summit”, which was a shack for people to rest and catch their breath (that would include me!) and a stone marker. I don’t know why, but I was expecting vistas of the valley below, but all we could see was tree cover. 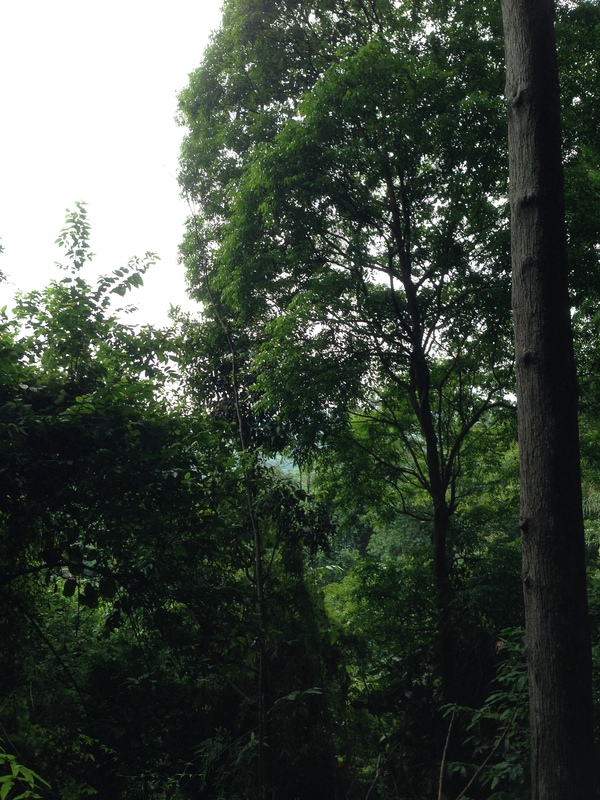 Then again, Bukit Timah Reserve is covered in trees, so I shouldn’t have been surprised. Right at the bottom of the hill is a map with the routes that one can take in exploring the reserve. We had opted to use the straight paved path going up but chose to go down via a dirt path, just to explore some more. Paths are marked by color, and they show which is the shortest (in terms of distance). D suggested we go via the yellow path, since that was the shortest and might not be as hard to do (for me, is what he didn’t say!). I took a cursory glance at the map, and agreed. And so begins a trek that taught me several lessons that could be useful on a hike or just life in general. Lesson # 1: Always bring a map or take a photo of a map as reference or to orient you on where you are. The photo above was taken after we’ve done the whole trek. Lesson #2: Always keep your eyes open for critters and be quick about taking a photo. 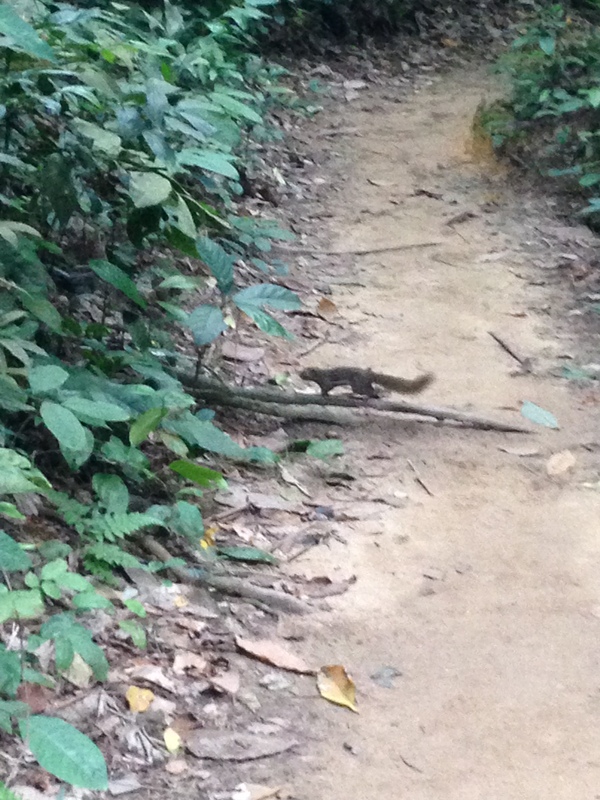 This little guy crossed our path so quickly it was actually a wonder I got to take a shot. Colorful birds, iridescent lizards and stealthy furry creatures like these were plentiful, but I wasn’t quick and alert enough with the camera until it was too late. Lesson #3: Read and heed the signs. We didn’t see any snakes, but it still paid to be careful. Lesson #4: Read the signs. The yellow route we took was the shortest and probably the easiest of the three off-road routes. But shortly after going on it, we spotted a pathway and it seemed like a good idea at that time to go use it, without checking the sign that said route was closed due to maintenance. 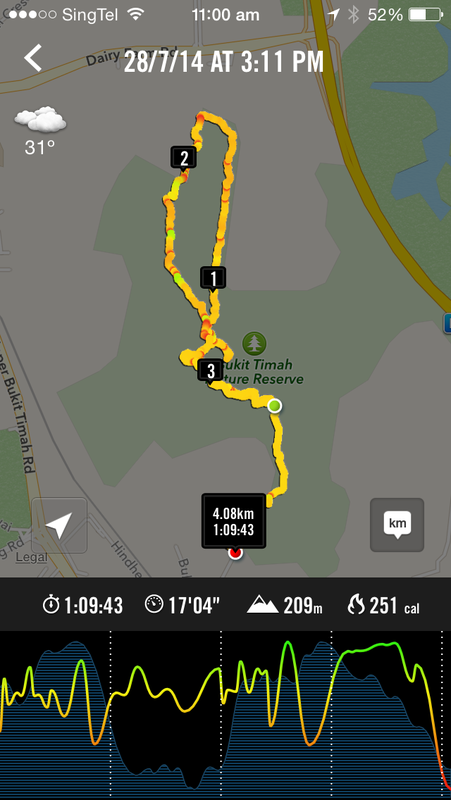 Also, without knowing that we had stumbled into the Dairy Farm route, longest and toughest route (to me) in Bukit Timah. Lesson #5: Admire or take stock of your surroundings. It was tough going at some places in the dirt path, because it wound down, then up, narrowed and then widened, and I was running out of breath, but I tried to be mindful of my surroundings. The trees had presence, and they demanded that you admire them. 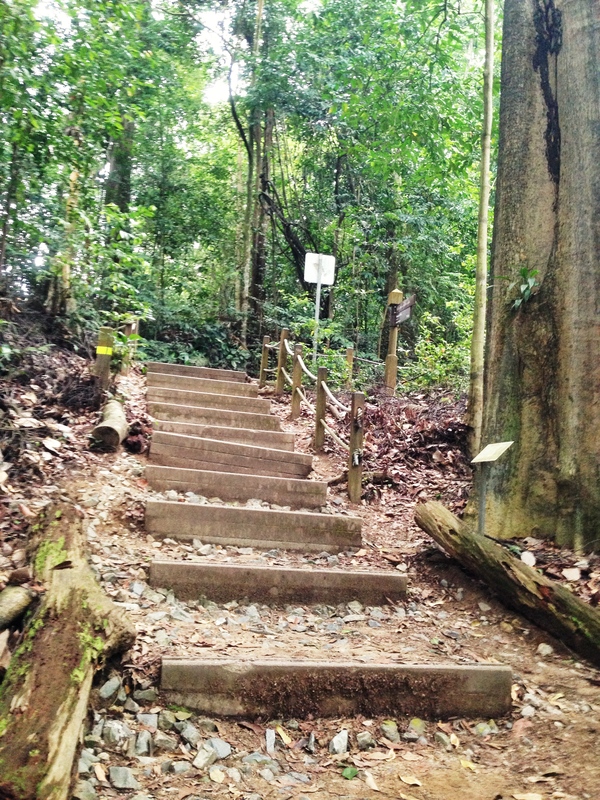 Lesson #5: Pretty downhill paths lead to pretty uphill paths that will make you want to just sit down and cry. I still have not lived this down. 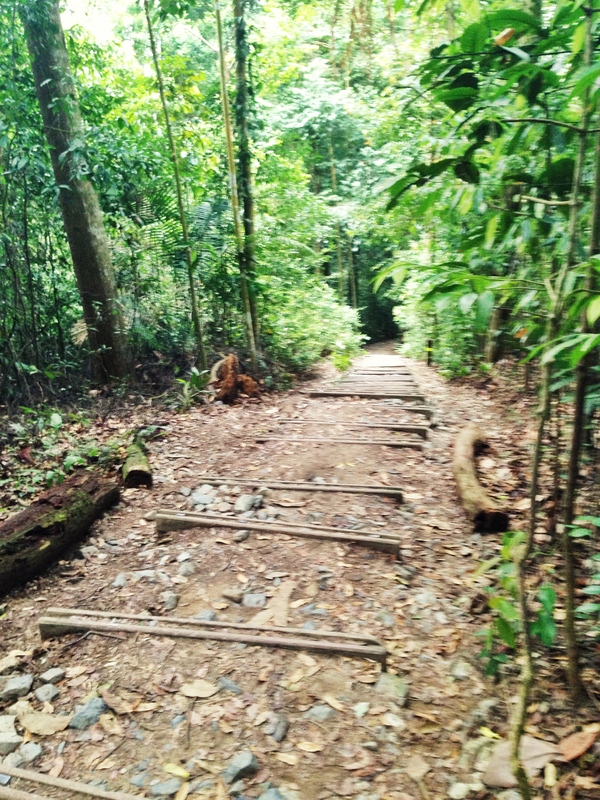 It was my idea to stray from the prescribed path in the first place and I paid for it with more than two hours worth of going up and down pretty steps. 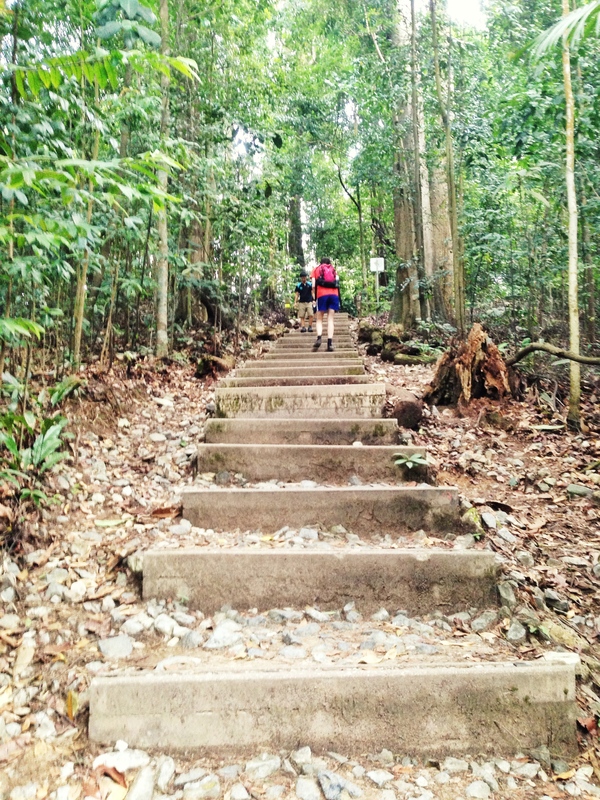 It was a lesson in humility that older people would pass me going up or down the steep steps. One time, as I sat down for the umpteenth time to catch my breath, an old man — he couldn’t have been younger than 80 — was just toodling along, going up the steep incline with only a long furled umbrella as his “walking stick”. He stopped to talk to me a bit, you know, just shooting the breeze and politely not seeming to mind me gasping for air. I learned that he was alone and that he would do this walk once or twice a month. Another time, a group of twentysomethings were blithely walking behind us. So we stood aside to let them pass, with me muttering that they should go ahead because we might slow them down. One of them cheerily replied, “Oh, it’s not that hard.” D wisely kept his mouth shut through all of these interactions. Lesson #6: Sometimes you just had to laugh even though you’re so tired, you could cry! Lesson #7: It pays to be a good sport. Lesson #8: Poise flies out the window when you’re covered in sweat and very exhausted! Lesson #9: Time gives you perspective. I had thought that the distance we trekked was much farther than what is recorded here. But when I checked this today, just before writing this, I realized it wasn’t really that far. I had done longer walks since (admittedly, all on relatively level ground) and they were not as tiring as this. Lesson #10: Doing something difficult for the first time is a really rewarding experience. This may be the most important lesson of all. 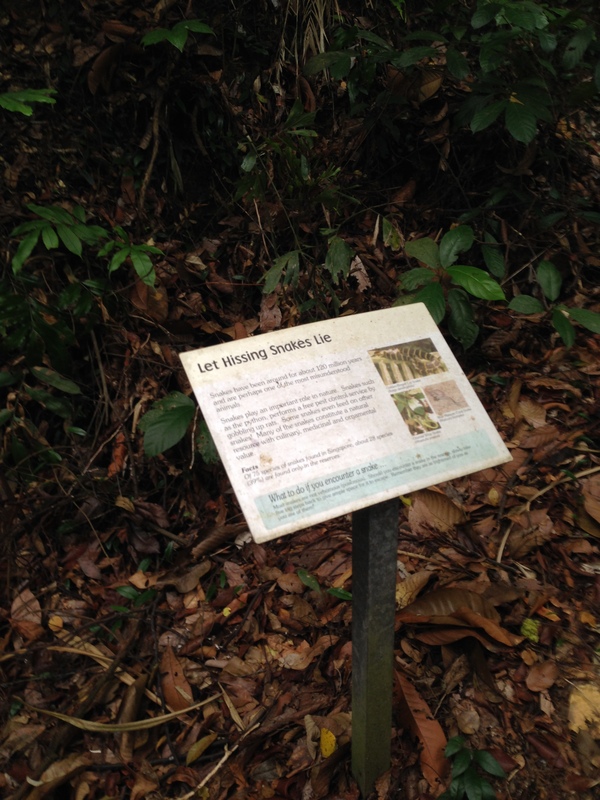 NOTE: The public will have limited access to Bukit Timah Nature Reserve for the next two years due to maintenance works. 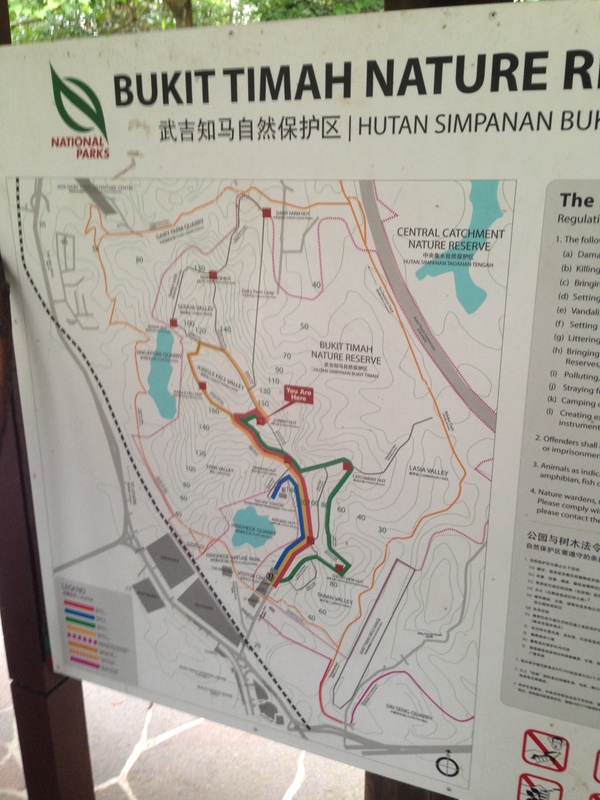 But guided nature walks are still being conducted. Info and schedule here. Oh man, inclines are really a killer! Hope your knees are okay. 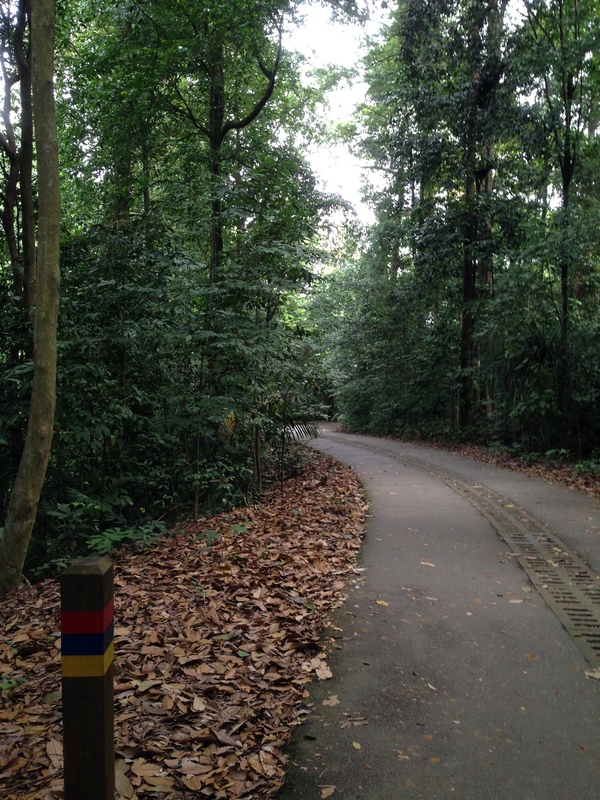 I would want to go on a hike with you if ever I get to visit Singapore again 🙂 Great post! "I usually take a two-hour nap from one to four"